Pope Francis on Friday recognized Oklahoma priest Father Stanley Francis Rother as a martyr, clearing the way for his beatification. He is the first person born in the US to be recognized as a martyr. The Positio on the life and martyrdom of Father Rother previously had been discussed and approved by a panel of nine theologians and more recently by a group of 15 Cardinals and Archbishops who voted affirmatively to recognize his martyrdom in odium fidei (in hatred of the faith). The Positio refers to the volume containing the evidence that was collected from witness testimonies in both Oklahoma and Guatemala, and supporting documents during an inquiry conducted by a special tribunal of the Archdiocese of Oklahoma City, created to carry out this investigation. The beatification ceremony could come as early as next fall. Father Stanley Francis Rother was born in Okarche, Oklahoma, in 1935 where he grew up on a farm just northwest of Oklahoma City. After graduating from Mount Saint Mary’s Seminary in Emmitsburg, Maryland, Father Rother was ordained on May 25, 1963. He served in several parishes in Durant, Tulsa and Oklahoma City before volunteering for mission service in Santiago Atitlan in Guatemala in June 1968. On July 28, 1981, in his rectory, three masked men shot Father Rother, killing him. Days later, his body was returned to Oklahoma, but his heart stayed behind to be buried at his parish in Santiago Atitlan. In October 2007, the Archdiocese of Oklahoma City under the direction of Archbishop Eusebius Beltran opened a Cause of Canonization for Father Rother. In September 2014, Archbishop Coakley presented the Positio of Father Rother to the Prefect of the Congregation for the Cause of Saints in Rome. In 2015, the Theology Commission of the Congregation for the Cause of Saints voted to recognize Father Rother a martyr. Once beatified, the next step of Father Rother’s cause will require a verified miracle before he can be canonized as a saint in the Catholic Church. 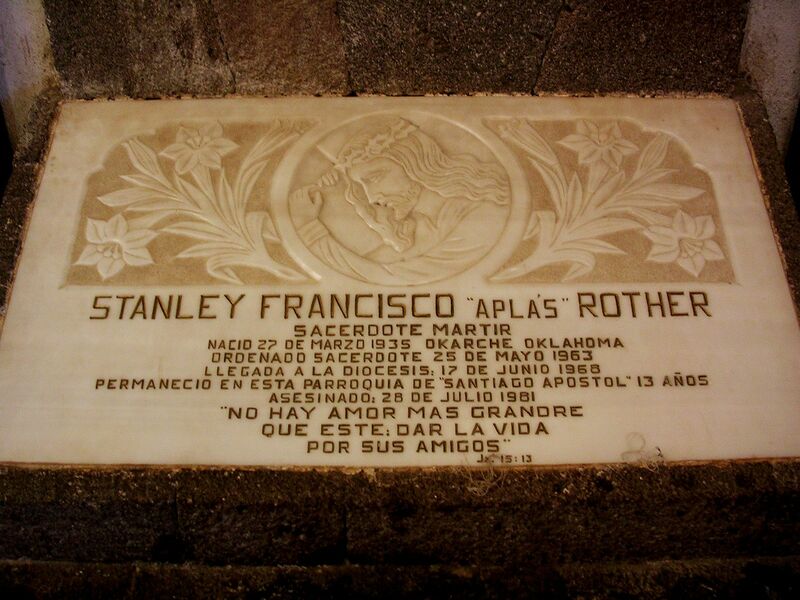 For information on Father Rother’s life and the process for sainthood, go online to www.archokc.org/cause-for-beatification-of-father-stanley-rother/home or visit the Rother Guild website at http://rotherguild.org.